An Italian fashion tycoon and his wife are in the midst of a legal battle in an attempt to settle their multi-million pound divorce in Britain. Ilaria Giusti, 53, is asking the UK courts to rule on her divorce from shoe designer Ferruccio Ferragamo, despite moving here five years after splitting from her husband. However, Mr Ferragamo says judges in Italy should make the decisions instead. Lord Justice Moylan and Lord Justice Baker, who had overseen a Court of Appeal hearing in London earlier this month, said they preferred the argument put forward by Mr Ferragamo’s lawyers. They said judges in England should ‘defer to the Italian court’ and let Italian judges decide whether they ‘remained seised’ of proceedings. However, the two appeal judges also said Ms Giusti’s English bid should not be thrown out. The couple married in 2004. The marriage had broken down after about eight years. They have been estranged since 2012. No-fault evictions are now to be banned in England. This ruling means private landlords will no longer be able to evict tenants at short notice without good reason. The government says the new plans are in place to protect renters from “unethical” landlords and give them more long-term security. Currently, landlords can give tenants as little as eight weeks’ notice after a fixed-term contract ends. A landlord has lost his fight to be able to hold a licence to rent properties again after a tribunal found he wasn’t a “fit and proper” landlord. Derrick Morgan appealed to the Residential Property Tribunal after Rent Smart Wales (RSW) refused to grant him a landlord licence. However, the tribunal has now dismissed his appeal, meaning he will not be able to rent properties. Mr Morgan, 60, appealed against that decision and the tribunal listed the matter for hearing and inspection for January, 2019. During the inspection the tribunal was shown a number of properties on the site operated by Mr Morgan. The tribunal report added, “When asked what types of tenant he housed, Mr Morgan replied that they were all in dire straits when they came to him. A UK divorce court judge has ended the marriage of Prince Louis of Luxembourg and Princess Tessy. Mr Justice MacDonald pronounced a decree absolute at a hearing in the Family Division of the High Court in London. A ruling on the division of money and property was published by Mr Justice MacDonald four months ago following a trial. Mr Justice MacDonald said Prince Louis and Princess Tessy could be named in media coverage of the case, but placed limits on what could be reported. 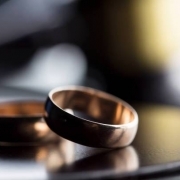 The judge heard that the couple began a relationship in 2004, married in 2006 and had two children. Mr Justice MacDonald decided that Princess Tessy and the children could live in a property the couple had shared when married. He said the prince would pay the princess “nominal” maintenance and pay child maintenance of £4,000 a year per child. 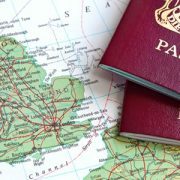 International students are to be given visa extensions of up to a year to look for work in the UK as part of a package of government measures to increase numbers of overseas students after Brexit. A tenant who caused £25,000 worth of damage to the flat she was renting out has been evicted. The property East Yorkshire was found in a ‘disgusting’ condition by its landlord, with holes in the walls, smashed windows and ripped up floorboards. The radiators were ripped from walls lying on top of mounds of rubbish. Debris was found on the smashed hob and the bathroom was covered in filth. Landlord Phil Withnall said he had not seen anything of this nature in the 25 years of letting property. Mr Withnall estimated the cost of having to repair the damage done by mum-of-five Katie Bentley as £25,000. A new law has come into force enabling people living in rented accommodation the opportunity to sue their landlords over unfit homes. 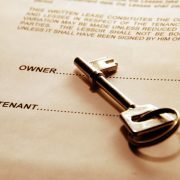 On Wednesday, March 20, the Homes (Fitness for Human Habitation) Act came into effect, allowing tenants to go to the courts if they feel their landlord is not keeping their property well maintained. 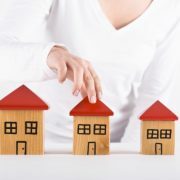 This Act will apply to tenancies of less than seven years in England and Wales in an update of the Landlord and Tenant Act 1985. Legal action can be taken on a number of issues, including properties that are too cold or too hot, have damp or mould as well as noise and lighting issues. An Omani businessman worth more than £300million has been ordered to give his ex-wife £25million after she argued she needed a £400,000-a-year for holidays and a further £60k for pocket money. The Family Division of the High Court in London heard the case of Talal Al Zawawi, 48 and his ex-wife Leila Hammoud, 36. Ms Hammoud said she needed £400,000 a year for holidays for her and their three children, more than £60,000 a year to buy jewellery, more than £60,000 a year ‘pocket money’, £60,000 a year for ‘spectator events’ and £24,000 a year to buy shoes. Mr Justice Holman concluded that about £21 million would meet her needs and about £3 million would be suitable for the children’s needs. The calculations included more than £5million for a house and £75,000 for a car. The judge said Mr Al Zawawi and Ms Hammoud could be named in media reports but he said their children should not be named. Mr Justice Holman highlighted that under Omani law Ms Hammoud would get no financial provision and said it was right that she should make a cash claim in England.